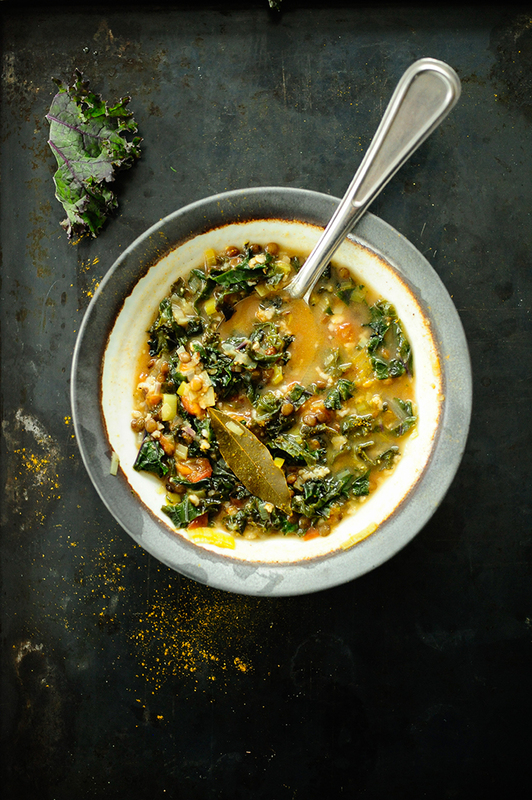 This is a fantastic nutritious soup with kale, oats and lentils with a delicate Indian taste. I seasoned the soup with a mixture of garam masala and turmeric and added oats instead of rice or pasta. It’s healthier and makes your soup thicker, you can use them for any soup. Place the lentils in a saucepan and pour 1 L water. Season with salt, add the bay leaf and 1 clove of garlic. Boil for 20 minutes. Clean the leeks, cut off the root and dark green leaves, leaving only the white stalk. Cut lengthwise, rinse under running water and cut into rings. Rinse kale under running water, cut out the hardened part of the stem and cut the leaves into strips. Blanch the tomatoes with hot water, remove the skin and cut into small pieces. Heat the oil in a large pot, simmer the shallot, leek and garlic. Pour 1 L water and bring to a boil. 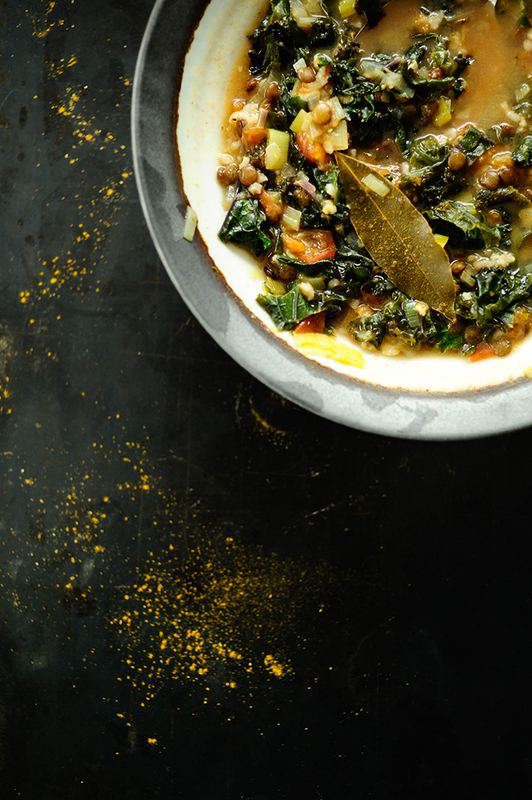 Then add the kale, tomatoes and bay leaf. Season with salt and pepper, cook for 15 minutes. At the end, add the oats, cooked lentils, garam masala and turmeric, cook for another 10 minutes. Enjoy!